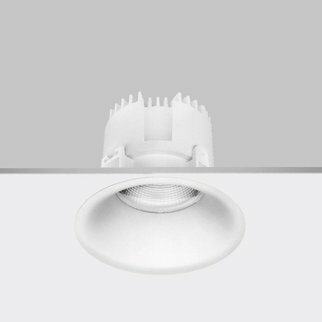 LED luminaire for recessed mounting into plasterboard ceilings. 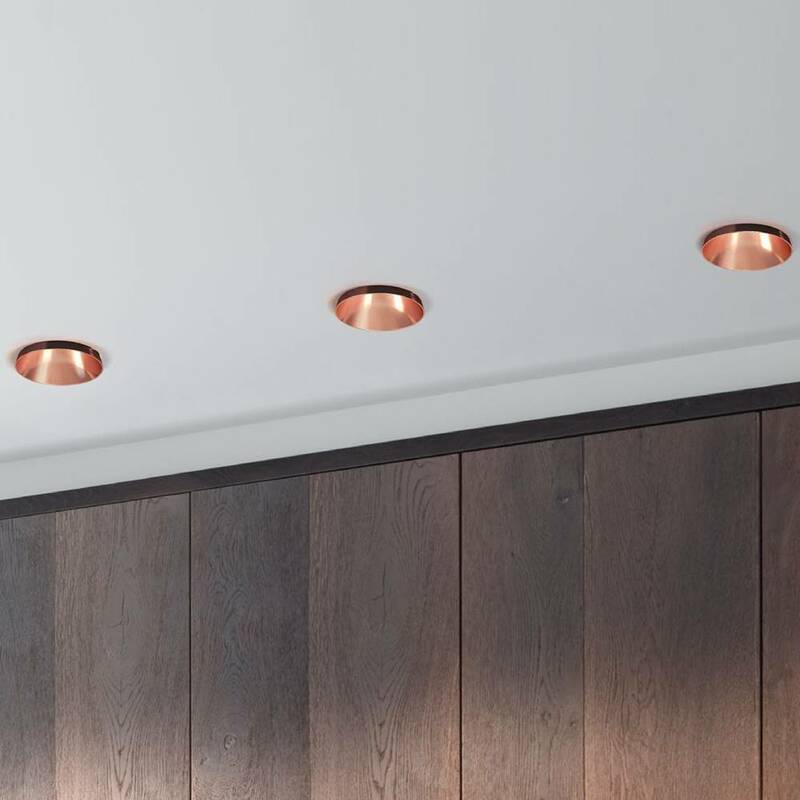 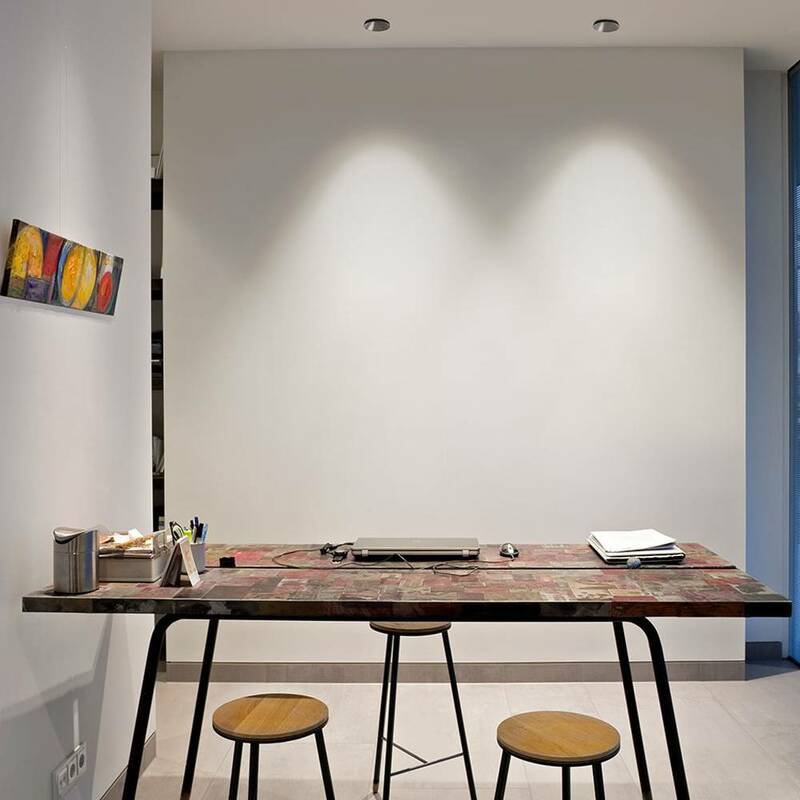 Once installed, the luminaire edge projects from of the ceiling 0.39’’ creating a unique and very refined aesthetic effect. 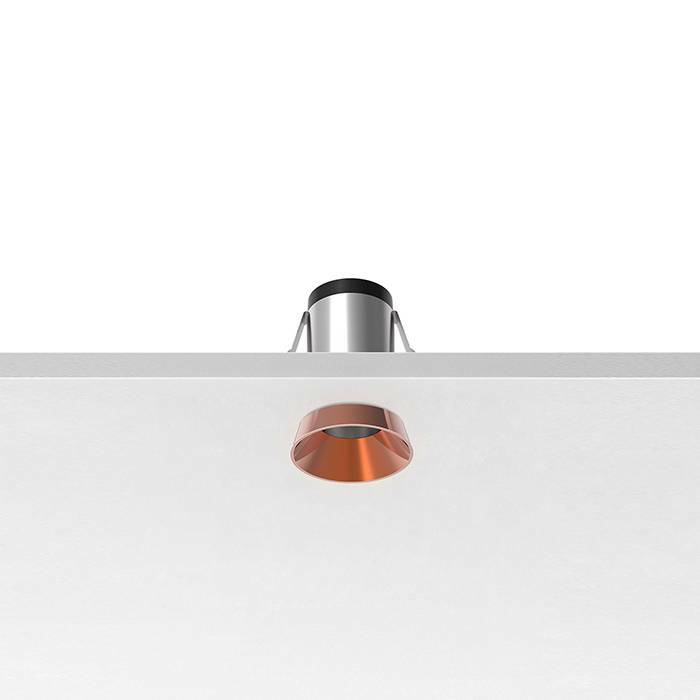 The luminaire’s body is injection molded aluminum. 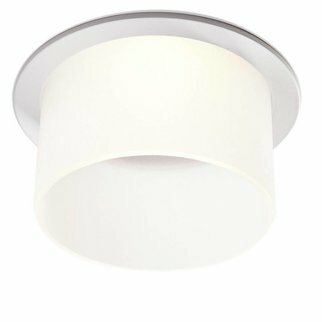 It is available in three sizes: Bon Jour 45 (Ø 1.77’’), 90 (Ø 3.54’’) and 145 (Ø 5.71’’). 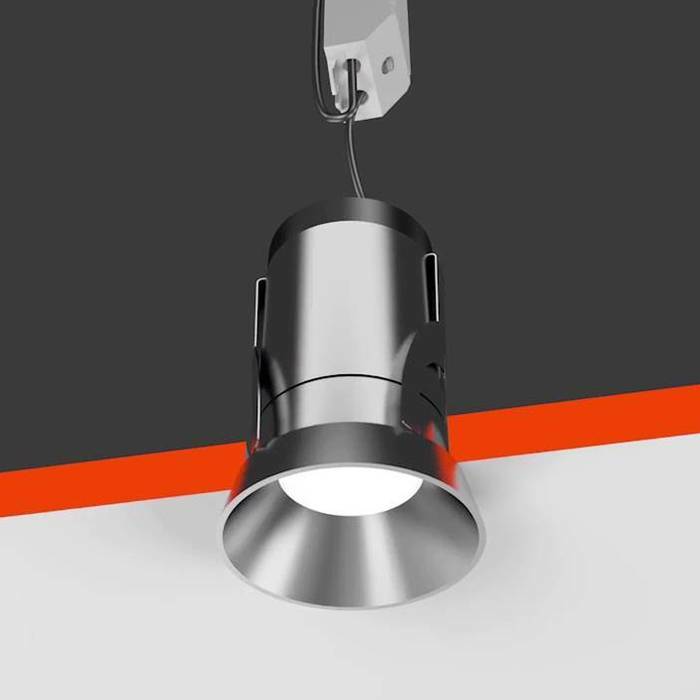 Reflector made of anodized gloss aluminum with diffuser element made of polycarbonate. 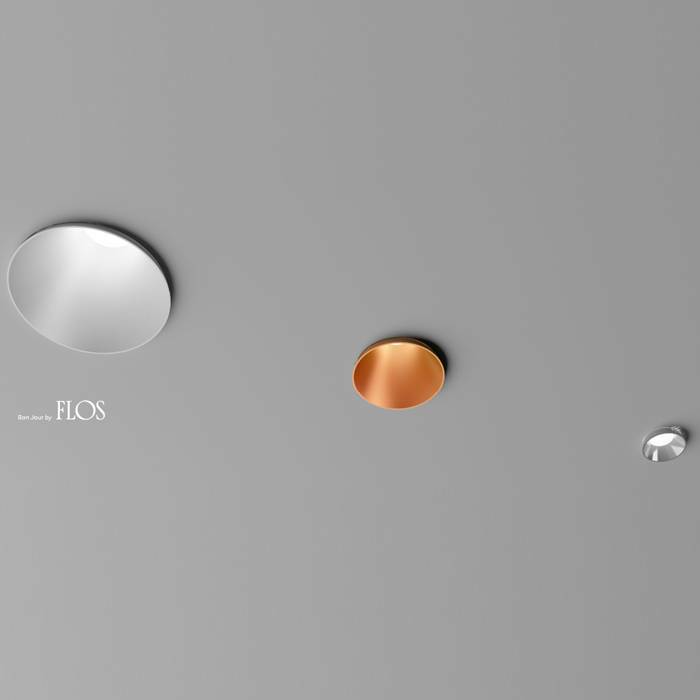 Available finishes: white, copper and black.